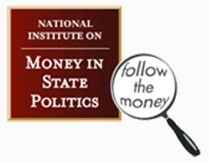 In their tallying so far, reporting from the National Institute on Money In State Politics reveals that Oregon’s 2010 elections were dominated by public employee union money. A report of the top 20 contributors shows that the public employee unions made up 50% of those contributions, or $7 million. The top 20 contributors make up a little over a third of the total 2010 campaign contributions. Rounding out the top 20 contributors were a two-way tie for second between 1) ballot measure support for the Multnomah County casino and 2) agriculture/business/construction contributions – each at 11%, and then support for the ballot measure to continue lottery funding for parks (8%), Republican party contributions (5%), Republican donor Loren Parks (4%), Democratic party contributions (4%), pro Democratic cause group “Our Oregon” (3%), and then health industry contributions at 2% – split between Democratic & Republican candidates, and family donations to Allen Alley’s campaign – also at 2%. 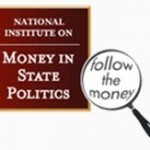 The National Institute on Money In State Politics has processed 29% of the campaign finance reports so far.